Here at HouseFuel we have put together a handy smokeless fuel comparison infographic, highlighting the differences between two of the smokeless fuels in our range. With so much choice available on the market nowadays, it can be difficult to know exactly what is in solid fuels, what the benefits of each are and which one will be best for your requirements. Both of the fuels we are comparing are great, however if you are after a fuel that has a longer burn time with a low ash content you may be better off with the Smokeless Ovals. 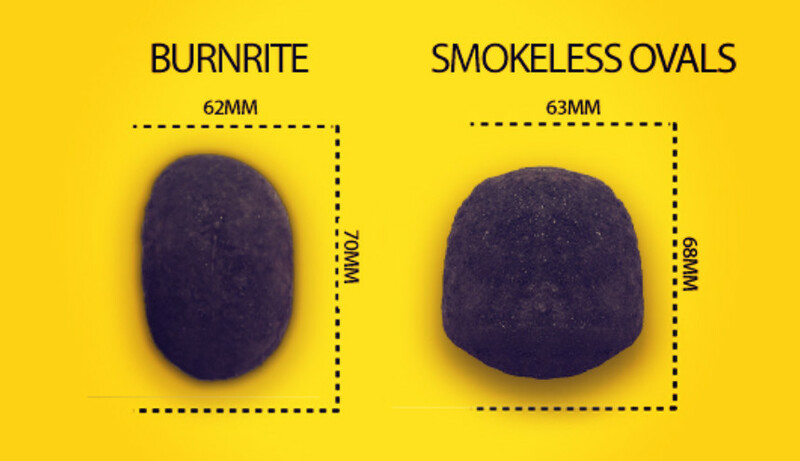 If you prefer a larger briquette that is going to provide slightly more heat for your home, the Burnrite Smokeless may be the one for you. If you’d like any further information these two products or any others in our range, please do not hesitate to speak to one of our advisors who will be happy to help. Getting in touch could not be easier, view our contact page to see the different methods and choose the one you prefer.